libertybathing | Feel rejuvenated with a Liberty Bathing walk in bath tub! There is nothing quite like the simple pleasure of taking a warm bath. The cares of the day seem to fade away, along with the aches and pains of everyday life. 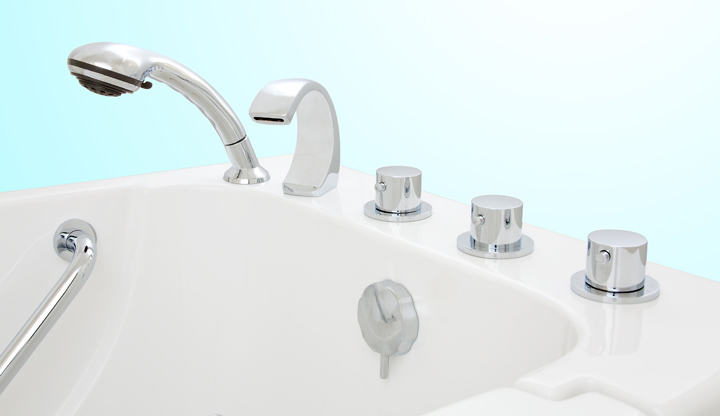 Unfortunately, many aging Americans with mobility issues find slipping into a bath an easy way to slip onto the bathroom floor. The fear of falling has made the simple act of bathing and its therapeutic benefits a thing of the past… until now! 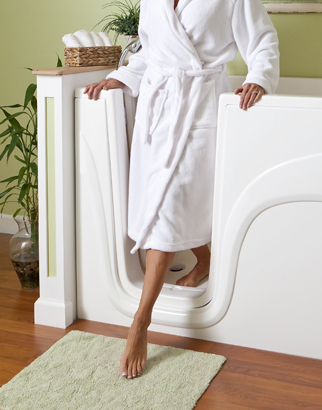 A walk in bath tub or shower can offer independence a safe and easy way to bathe in the convenience of your own home! Constructed and built right here in America for safety and durability, Liberty Bathing offers a variety of models that allow you to simply step into the tub rather than stepping carefully over the side. Among their features are leakproof doors, raised seating, and controls within easy reach. Some even offer high-volume, low-pressure pumps that are carefully arranged within the tub to provide a gentle but therapeutic massage. Enjoy a bath again, safely and affordably with help from Liberty Bathing in Thomasville, NC! At Liberty Bathing, we believe that bathing should be enjoyable and accessible to everyone. 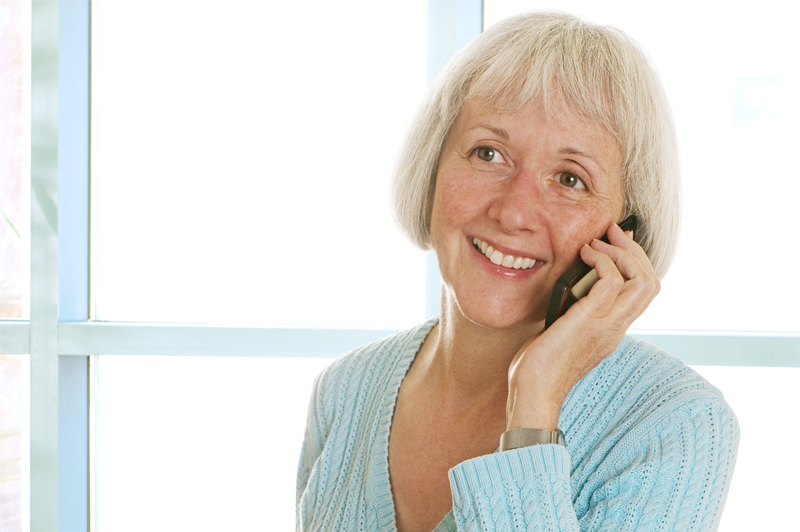 Our products are designed for comfort, accessibility and ease, and are ADA compliant. Take confidence in knowing each tub is tested for quality assurance. We utilize Premium American Made Hydrovescent Therapy and Whirlpool Systems in our walk in tubs and walk in showers… proudly Manufactured and Engineered in Thomasville, NC. Winner of America’s most “All America City” in the year 2013. Our staff of Installation Professionals are eager to help you create the perfect shower or bathtub for your comfort and safety. Choose from our selection of walk-in bathtubs, shower-tub combinations, whirlpool, hydrotherapy spas and more! We offer the highest quality and service while maintaining a low affordable price. Visit our Showroom to learn more about our products up close with our expert staff, located at 105 Todd Court in Thomasville, NC. Our Installation Professionals are here to help you learn more about our products Monday through Friday from 8:00 am to 4:00 pm.